A home loan calculator is an incredibly useful tool to have, as it works out how much it will cost you to keep a roof over your head in an instant. The good thing about these calculators is that you can change all the variables that come into a mortgage reckoning to get the best options for you. If you’re baulking at the monthly repayments on that 20-year mortgage, have a look at how much it would cost you over 25 years instead – you might find it less daunting. You can also look at your options in terms of interest only or repayment home loans. In an interest only mortgage, you simply pay off the interest that accrues over the life of the mortgage, which usually means your monthly payments are comfortable small. However, interest only means just that; if you haven’t made enough payments to clear the capital off by the end of the mortgage, you have to sell up and move. Most people, however, because they’re paying less on interest, have enough to chip away at the principal and let rises in property prices take care of the rest. If you’re looking at repayment options, you’ll see that your monthly payment is considerably higher. This is because you’re paying off chunks of the principal sum as well as the interest it accrues. This is an option where the term of the mortgage is especially important. The shorter the term – ten or 15 years, for example – the higher the monthly payments. However, if you opt for a longer term – 25 or 30 years – the monthly repayments will be lower, but you’ll be paying more interest and will be “tied” for longer. An important thing to remember when using a home loan calculator is that the results may well be slightly wide of the mark. Not hugely inaccurate, but maybe enough to make a difference over the course of a year, so you will need to get professional advice before you have a “set-in-stone” figure for your payments. One thing that everyone looking at mortgages should do is to fiddle with the interest variable in their home loan calculator. You might be comfortable when the interest rate is at 2%, but just watch what happens when it goes up to 4%, or even 5%. If you think you can absorb the surprising increases in your mortgage repayments, then go ahead. However, if there’s an interest rate that means unaffordable repayments, then opt for a smaller mortgage, or make sure you have some money always set aside to pay to fix your mortgage at a particular interest rate. These fix fees can be expensive – usually around R10,000, but it’s well worth it to avoid the consequences of a steep hike in interest rates. 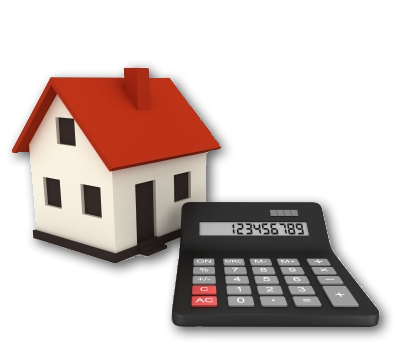 Home loan calculators are a good rule of thumb tool when you’re looking around for a deal. You can work out the minimum and the maximum you can afford each month, which tells you how much of a mortgage you can safely ask for.